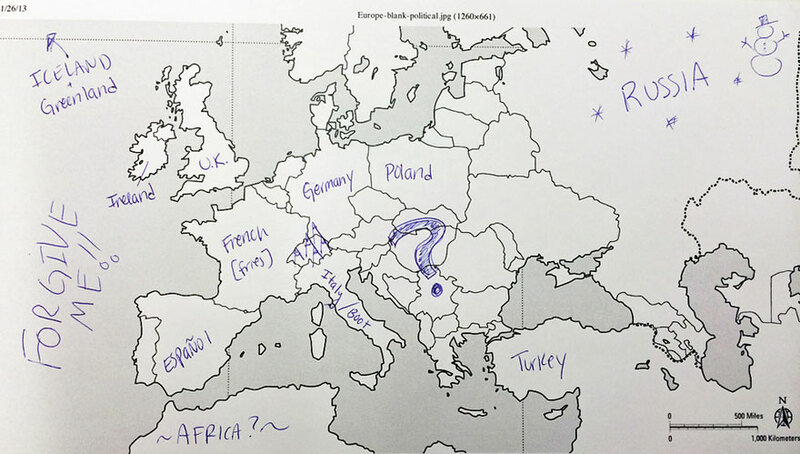 How sure are you of your geographical knowledge? 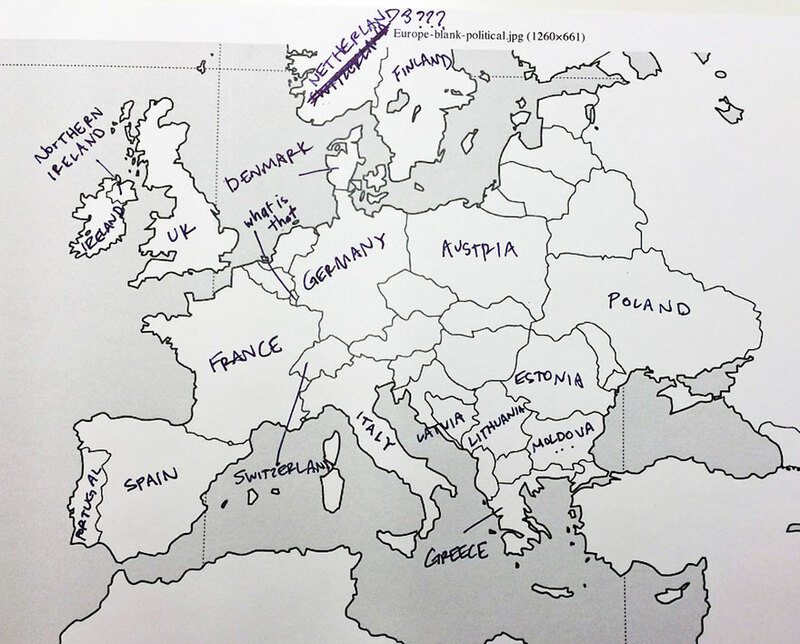 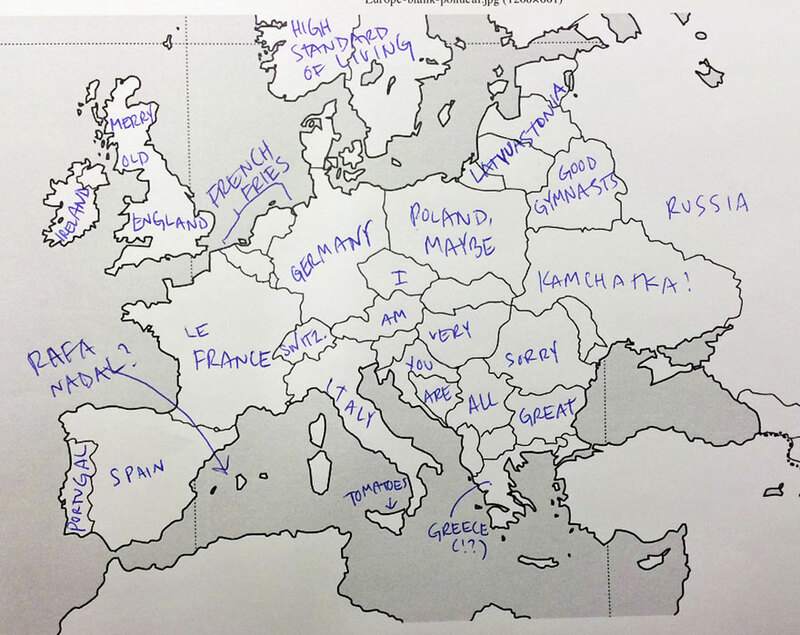 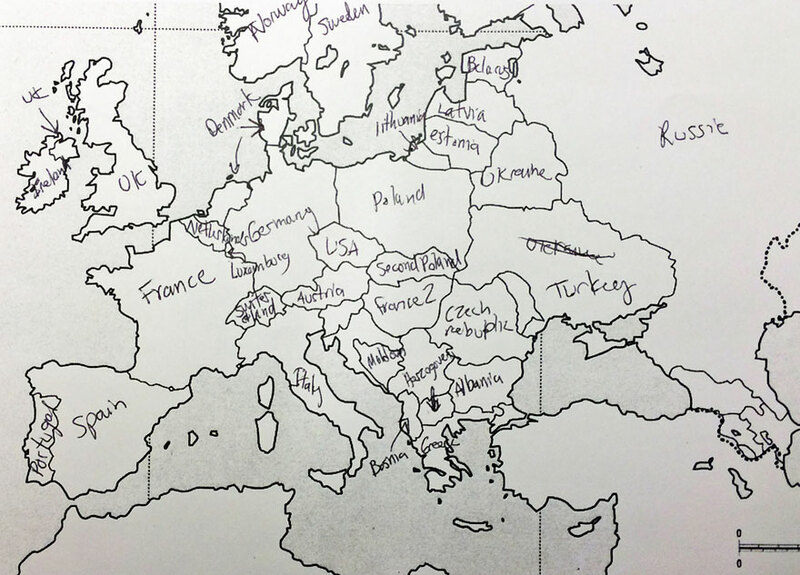 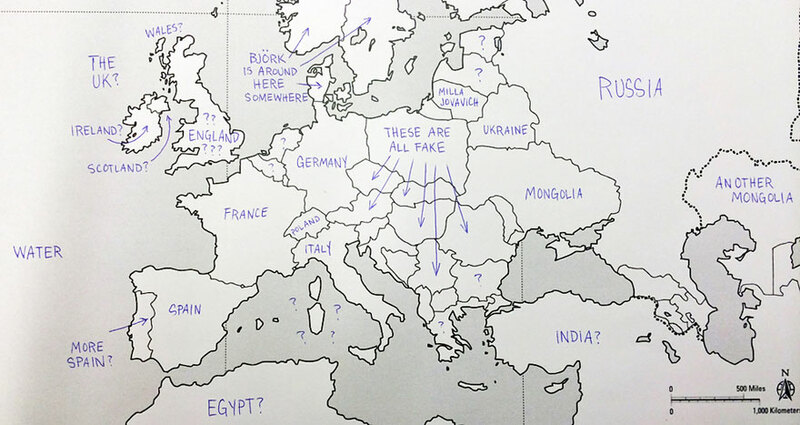 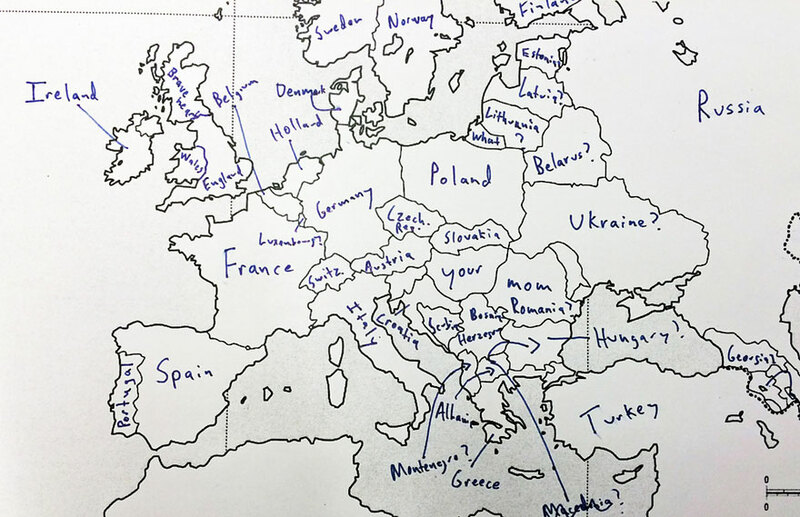 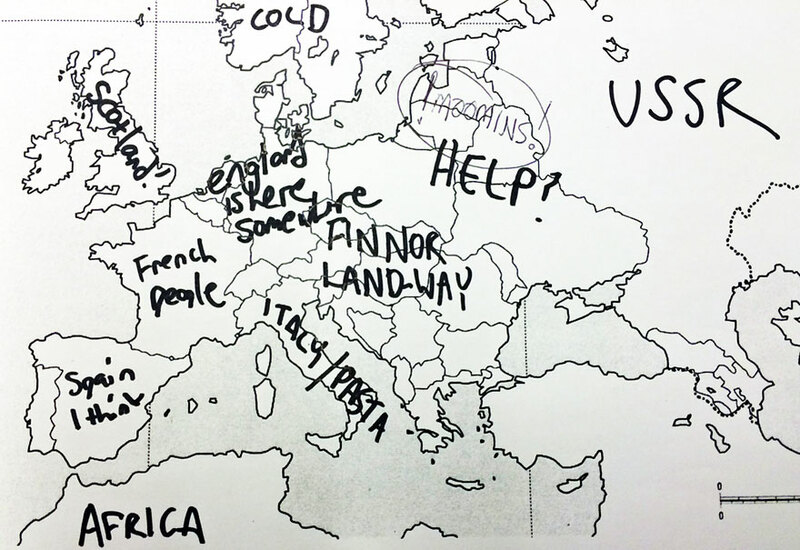 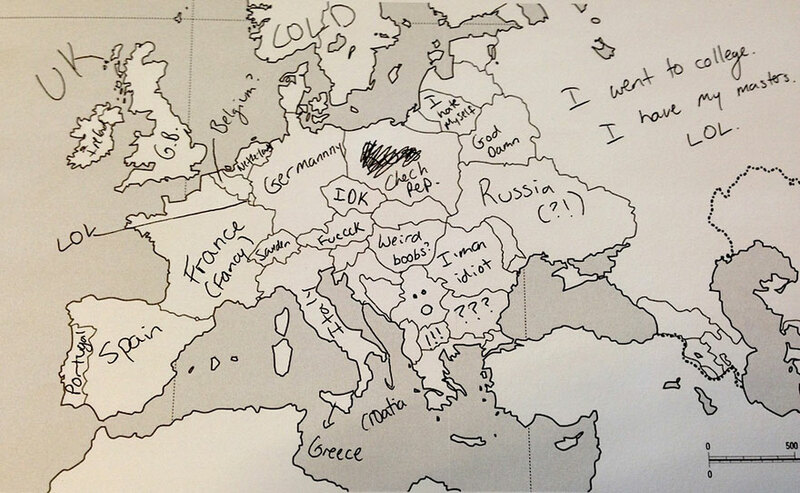 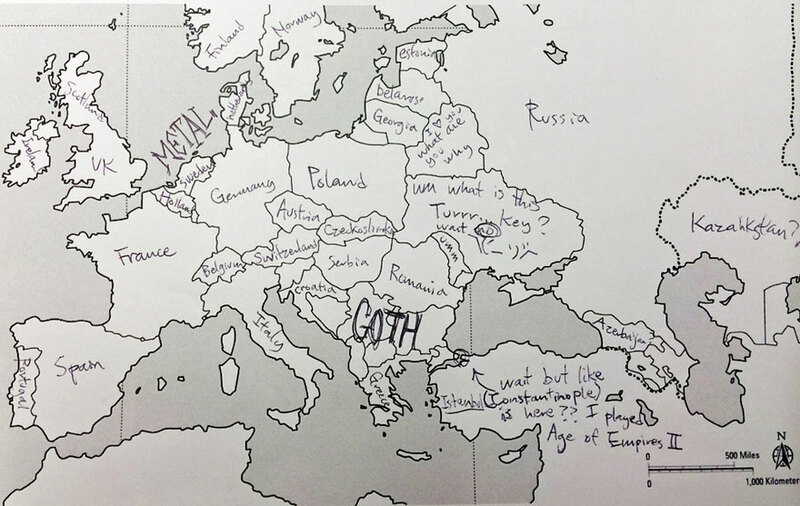 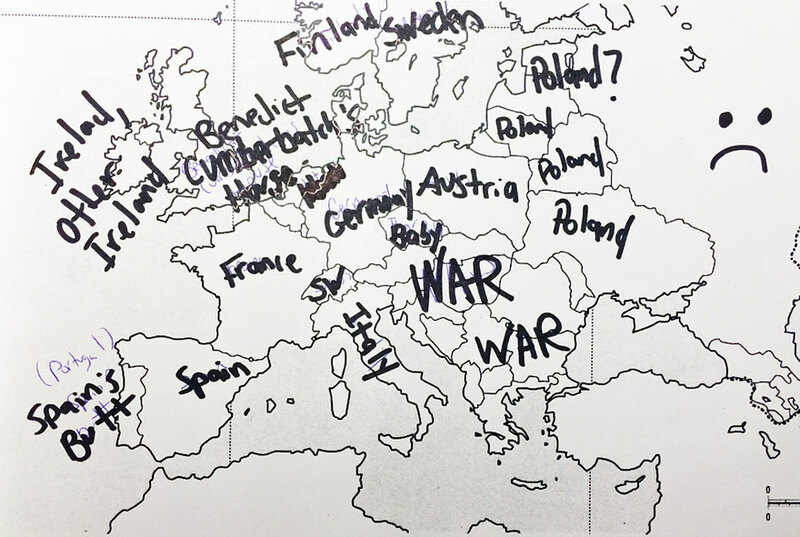 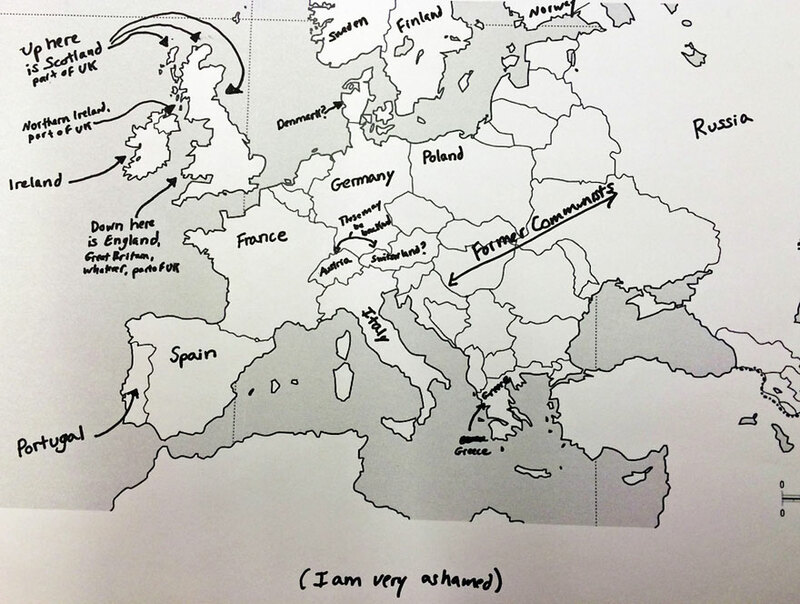 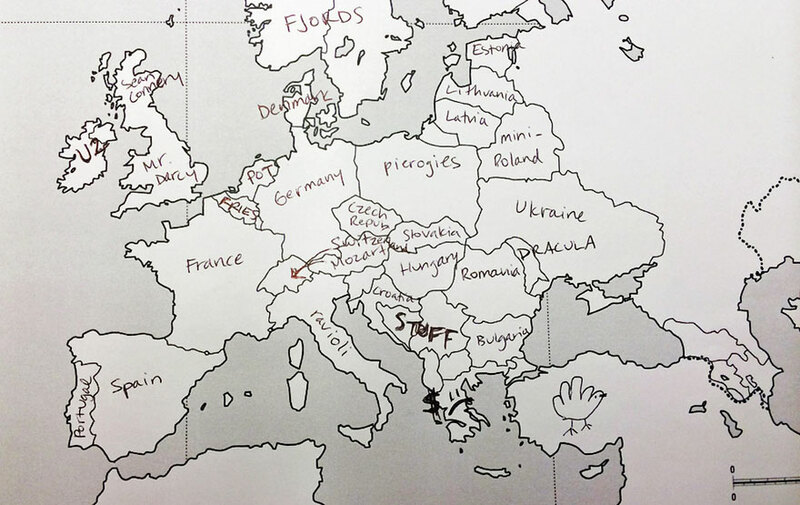 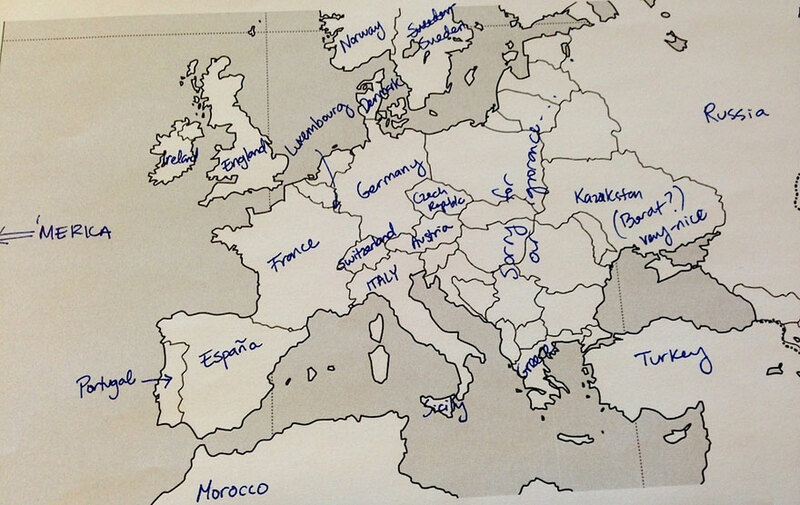 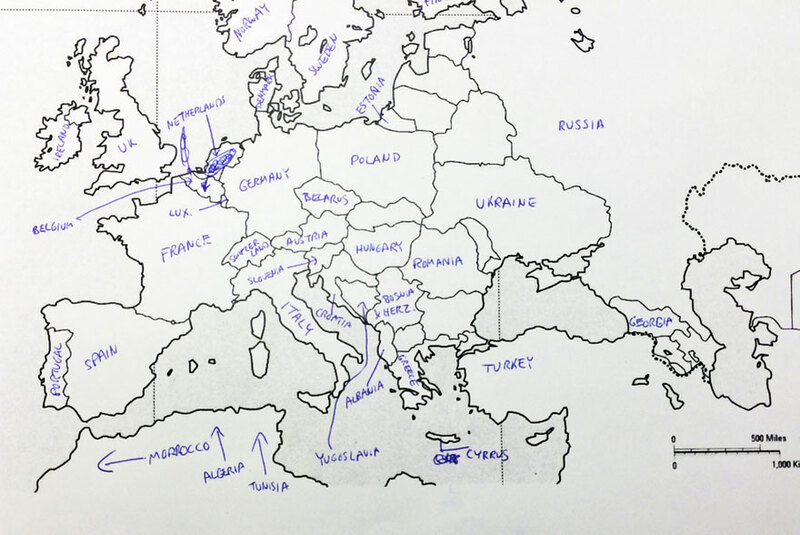 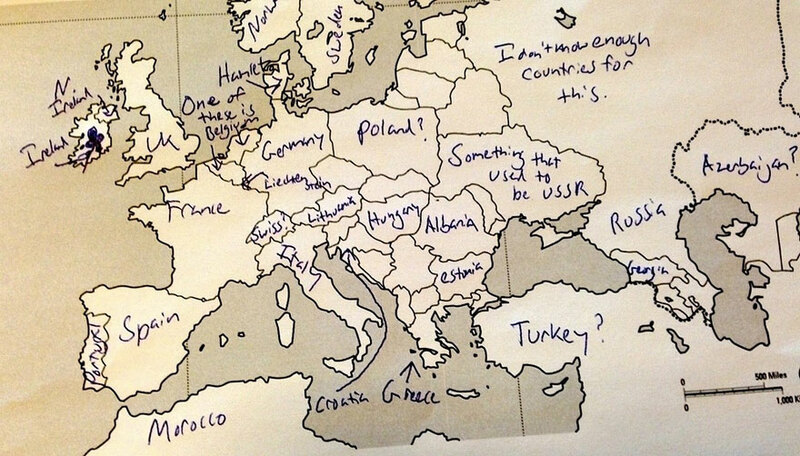 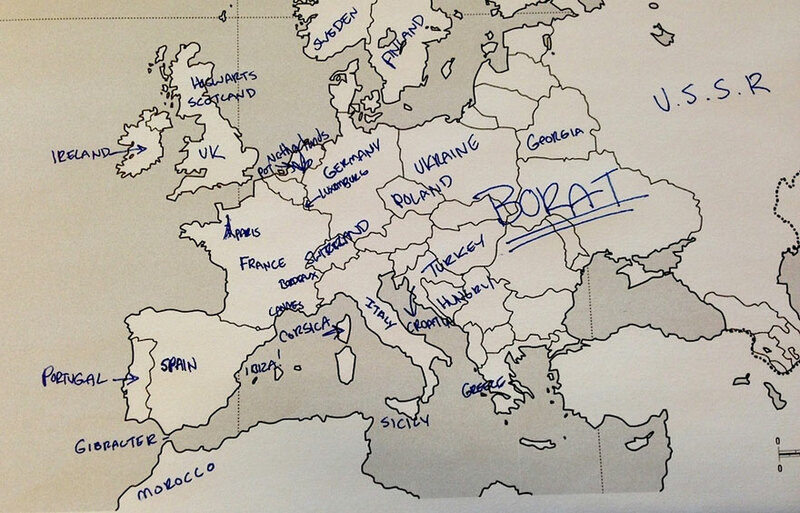 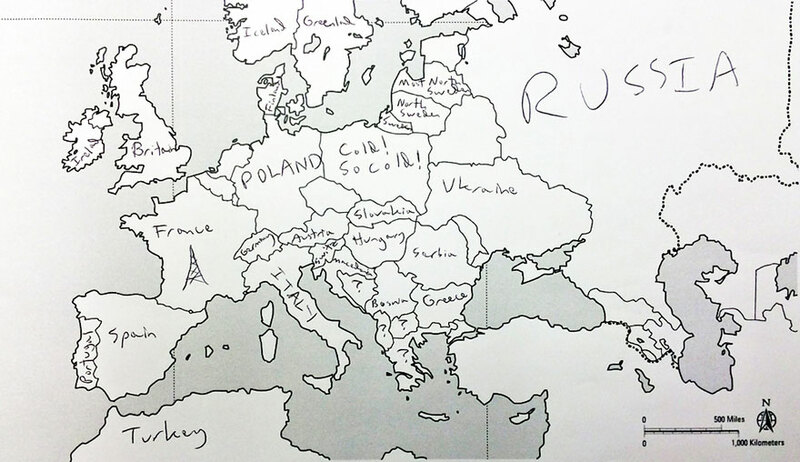 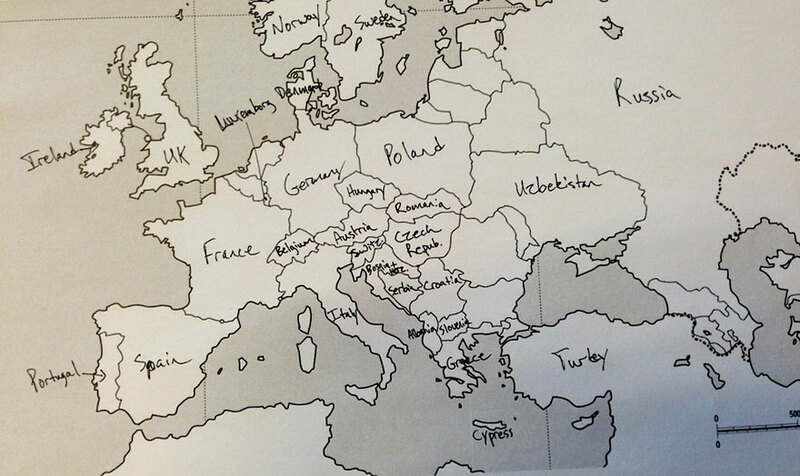 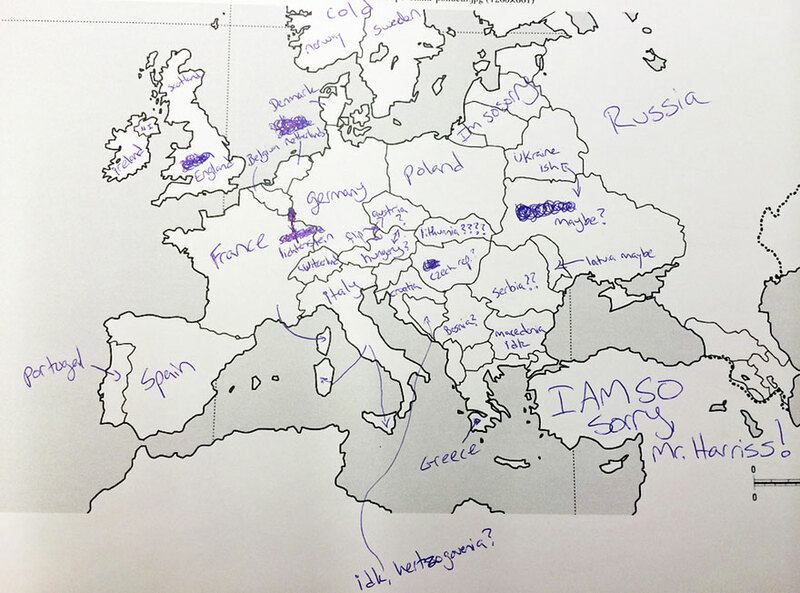 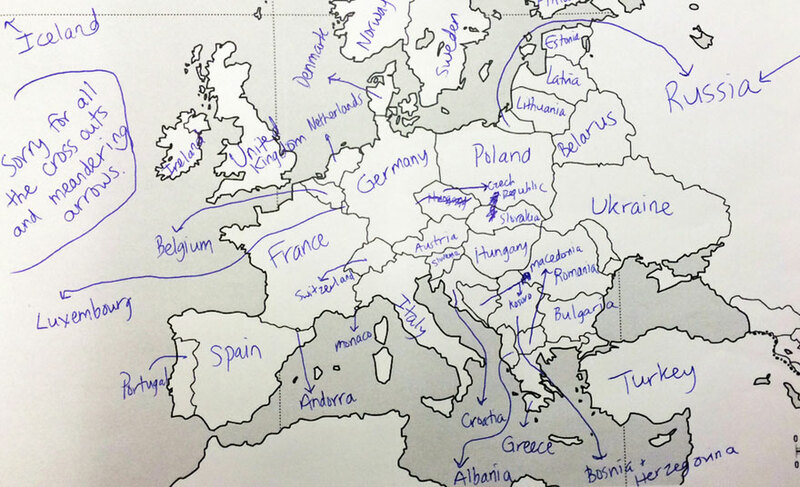 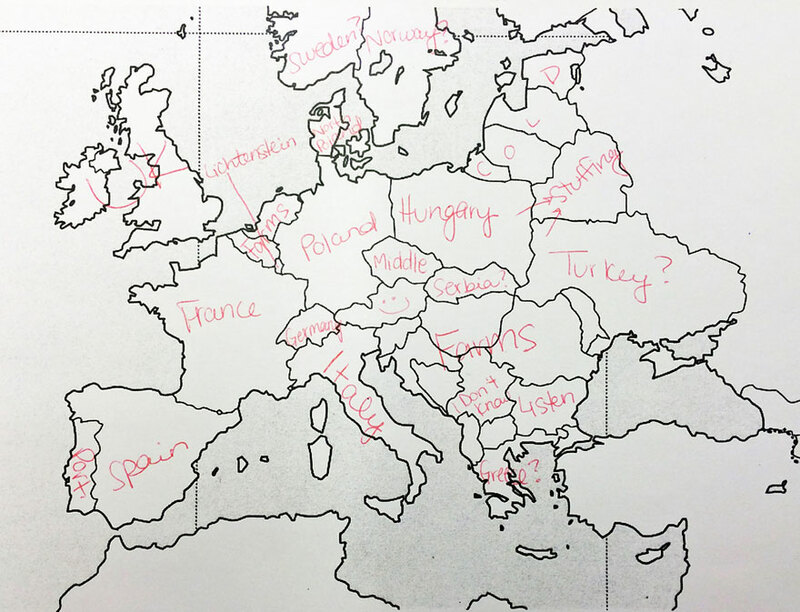 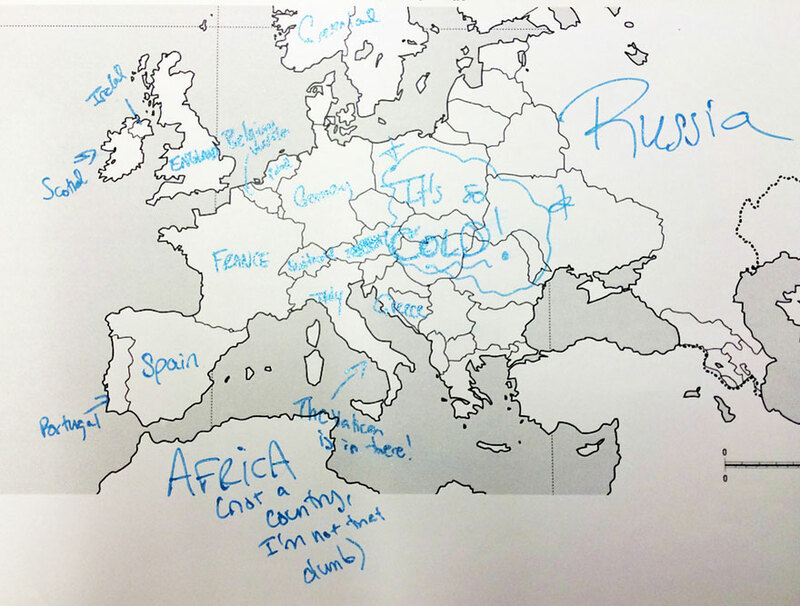 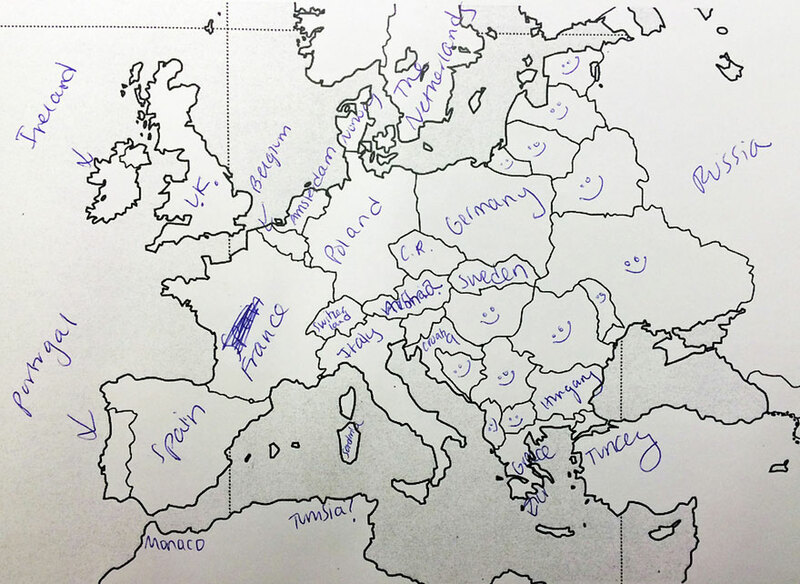 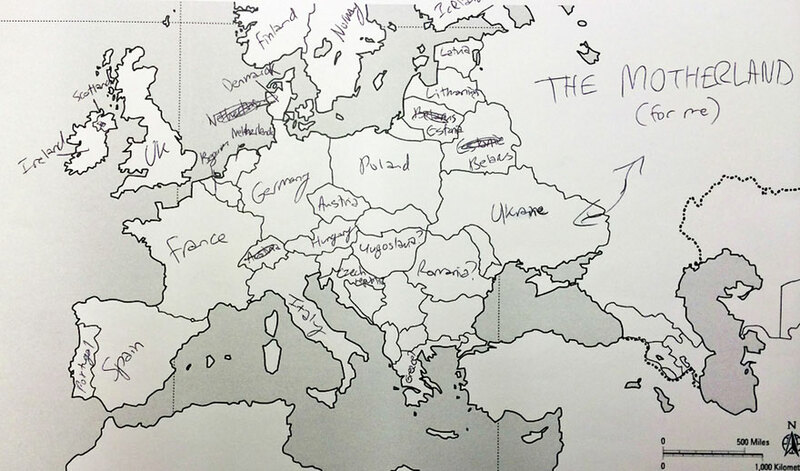 Buzzfeed recently put Americans’ geographical knowledge to the test with a survey in which participants had to write in countries’ names on a blank European political map. 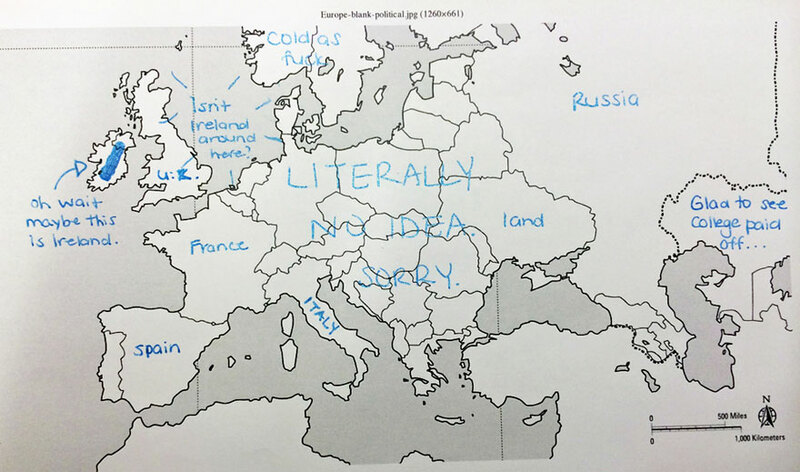 Unfortunately, they didn’t fare too well, but some of their responses are hilarious (or hilariously mis-informed). 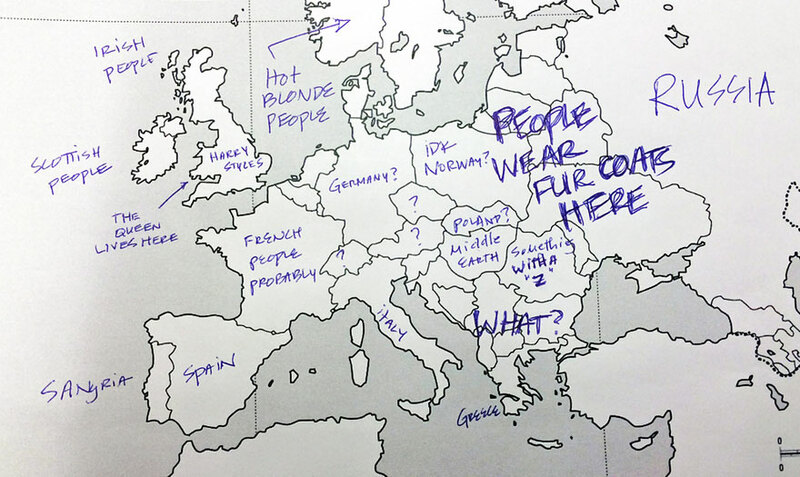 But don’t be so quick to judge Americans – when Buzzfeed posted a similar survey testing Brits’ knowledge of the 50 United States, they also came up short. 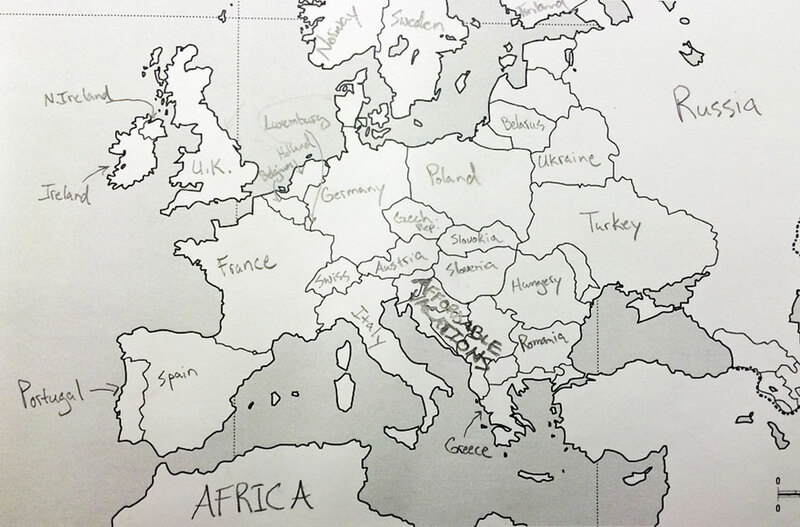 On the one hand, knowing a country’s states is different from knowing independent countries, but on the other, some U.S. states are larger than some European nations, and some U.S. states have larger economies than some European nations. 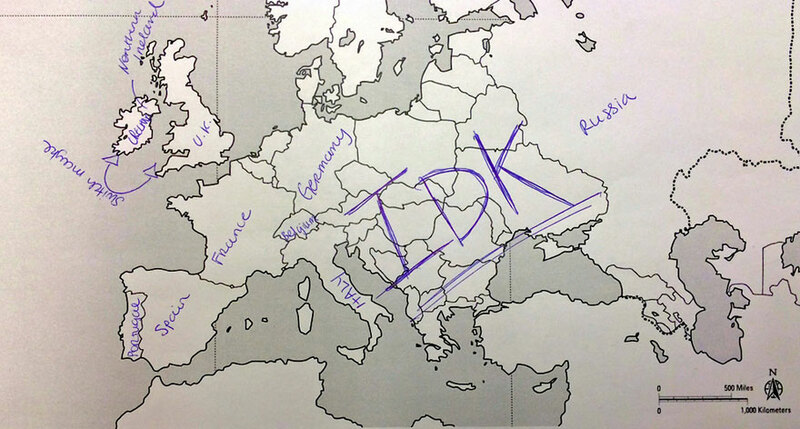 The gaps in these survey-takers’ knowledge also speak to historical and political realities. 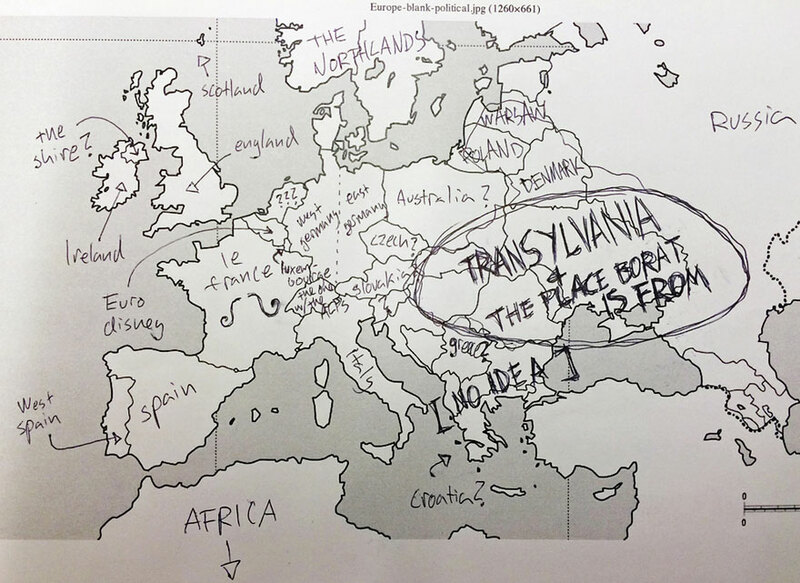 Very few survey-takers could correctly identify the former Soviet satellites or the nations that make up the Balkan peninsula. 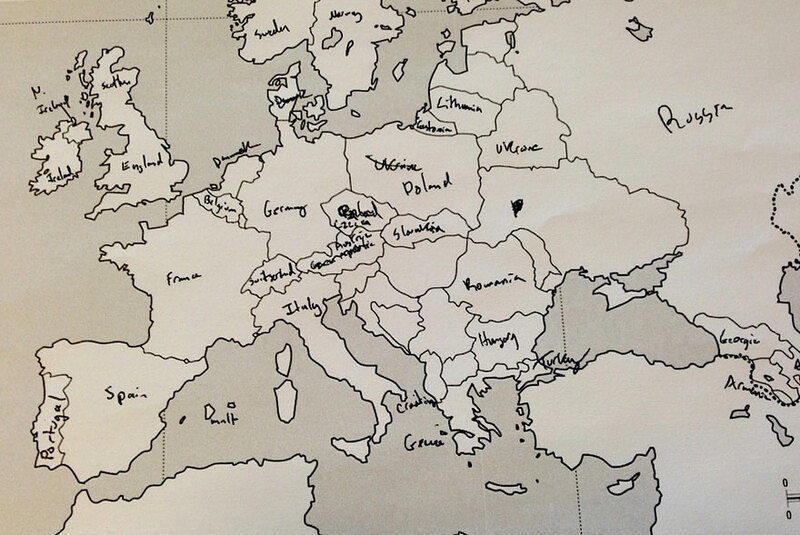 Many of the nations in these areas haven’t been around (independently) for quite as long as their counterparts in less turbulent parts of Europe.